Finally the Unknown Scientist has made an argument against me that isn’t wholly a straw man/ad-hominem work of rhetoric. I have written that most breeds, the Doberman Pinscher in particular, have deteriorated when their function was subordinated to fancy and friendliness. 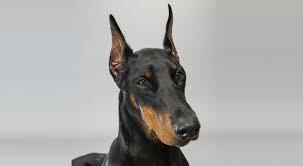 The Unknown Scientist points out that the Doberman in reality suffered from a genetic bottleneck since the breed relied on a a mere seven studs for the majority of its bloodline. I don’t doubt that he or she is right about the seven stud dog problem, but did the breed go from this …. because breeders were limited to seven dogs in the lineage? If so why then have all breeds—Goldens, cockers, setters, springers, Shepherds, etc., etc.— deteriorated? (Seen any good Irish Setters lately?) Were these stuck in a genetic bottleneck as well or did the selective practices of thousands of breeders have something to do with each breed having a thin boned frame, carrying a small cranium, generating a flighty and high strung disposition? I was not a casual observer of the breed during this critical era of decline as my father had the contract to supply trained Dobermans to Macy’s Department stores. The dogs were hearty and were much easier to train in bite work than shepherds. They lived in insulated dog houses on the roof of the Herald Square flagship store during the brutal winters of the fifties and sixties. As I became a trainer on staff I all too well remember contemporary fanciers attempting to broaden their dogs appeal to the general public and pointing with pride to how friendly their progeny were becoming. “He’d rather lick a burglar than bite them” I must have heard hundreds of times. (Whereas I wouldn’t have wanted to enter uninvited the yard housing the first dog pictured above.) 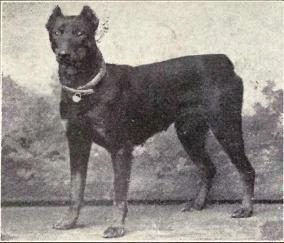 During the seventies I was invited to temperament test for a number of Doberman clubs and scores of dogs would be presented who had no interest in bite gear and would hardly alert when the helper acted provocatively, a far cry from the “Devil Dog” moniker the breed had earned during jungle combat patrols of the Pacific Theatre in WWII. Meanwhile Border collie breeders in the eighties took note of what was going on and went in the other direction seeking to limit the popularity of their breed. 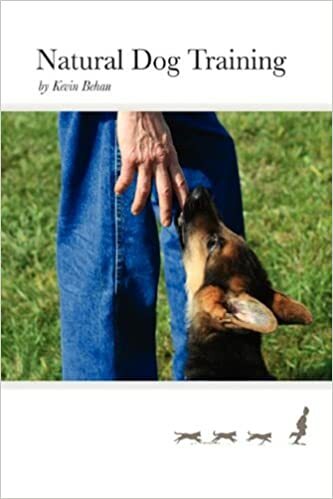 The United Kennel Club gained many adherents precisely because informed breeders didn’t want to allow the AKC standards to corrode their breed’s vigor. Revealingly the same page on the Unknown Scientists’ site that excoriates my premise carries another piece that laments the increasing popularity that might befall the Malinois due to the movie “Max.” The juxtaposition of these two pieces speaks far louder than the words they contain. What will be the excuse for a Mad Max, not enough genetic diversity? My immediate-moment manner of analysis has led me to believe there is a distinction between friendliness and sociability, the former is an instinctive coping mechanism, the latter is a function of Temperament, the capacity to turn resistance to flow. The former is when balance has been perturbed, the latter is when balance is subordinated to flow. It’s just like riding a bike. When the bike is moving too slow, the rider has to “vibrate” by cycling the pedals in reverse to keep the legs moving, and jiggling the handlebars back and forth to offset the risk of falling. Friendliness is an analogous method of coping with a lack of flow. It’s adaptive but only as a short term stop gap measure. Long term it becomes corrosive which is why parents intuitively recognize they don’t want to raise children who are reflexively friendly. Also, a capacity for aggression is not a trait contrary to sociability. It’s the life force that allows an organism to cope with resistance. So when breeders in America, unlike their European counterparts, mistook friendliness for good temperament, they were in reality selecting for too low of a nervous threshold. (This is currently underway with the pit bull as they become more sensitive which manifests as either an over-sharpness or fearfulness.) For a while the downside isn’t apparent, but emotional and physical constitution are on the same continuum as evidenced by the very latest brain/body connection research and eventually the well will run dry. It’s not woo-woo, it’s simple common sense and one need not wait decades for the science of dogs to catch up. Very good. I love the metaphor of the bicycle, likewise the distinction between friendliness and sociability. I agree, I like the comment that breeders are in fact selecting for too low of a nervous threshold. This would lead to more stress- cortisol levels that are high for longer. 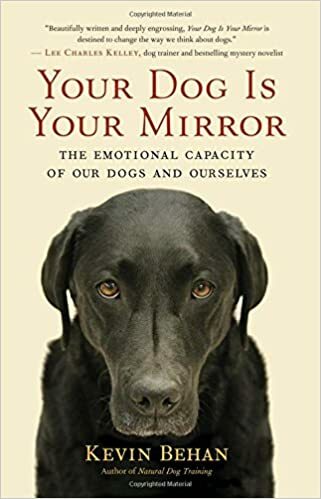 I wonder too that a “friendly” dog is apt to be misread by people as it covers its true temperament and this in turn leads to bites especially of children.